We thrive on repeat and referral business. We are thankful to our wonderful customers that keep calling us back for additional work. We are fortunate to have a team of ethical, customer-oriented professionals. Our employees are highly motivated and skilled at what they do; they bring excitement and ambition to our company. That's what makes us Voted Best Home Services Company! Electrical services are the backbone of any modern home-they also happen to be the bread and butter of our company. We were founded over 25 years ago with the sole focus of residential electrical services. Though our range of services has broadened over the years, our passion for electrical has remained. No electrical project is too large or too small for us, and we're committed to getting electrical work done right the first time. A fully functional and efficient cooling system is a vital part of any home. An old, ineffective air conditioning system will need more frequent (and expensive) repairs and lead to higher utility bills, among other issues. The best part of an air conditioning system that's running smoothly? You won't be able to notice it - like any functional appliance, it should blend effortlessly into the background. When it comes to air conditioner services in Boston, a dependable technician is essential. At HomeWiz, our air conditioning specialists develop trusted, enduring relationships with our customers to ensure that you'll be satisfied in the long term. Our team is available 24/7 to ensure that your cooling install or repair is resolved quickly and efficiently. We show up on time, in uniform, and with the necessary expertise to get your cooling system up and running. In the midst of a cold New England winter, there's nothing more crucial than a functional heating system. A broken or inefficient heating system can be at best, uncomfortable or at worst, dangerous to your family - especially on winter nights, when the temperature creeps below freezing. At HomeWiz, we consider your family's comfort and safety our top priority. When it comes to hiring heating contractors, a dependable technician is essential. At HomeWiz, our specialists develop trusted, enduring relationships with our customers to ensure that you'll be satisfied in the long term. Our team is available 24/7 to ensure that your heating system repair or installation is resolved quickly and efficiently. We show up on time, in uniform, and with the necessary expertise to get your heating service up and running. I have a Casablanca ceiling fan that wasn't working properly. I called Homewiz, and was very thankful I did. Will was very professional, knowledgeable, pleasant, and customer friendly. For a house call, they were very reasonably priced and timely. I highly recommend their service to all. 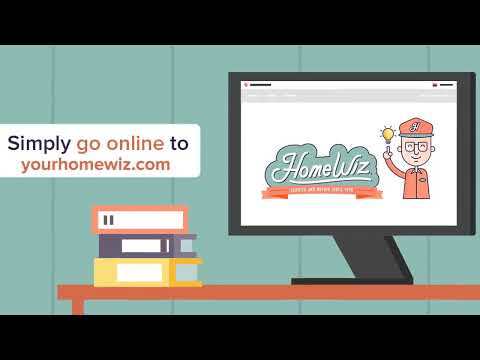 Casablanca is a top-notch fan, and Homewiz is a top notch company! I will definitely use them again. My heat went out on a cold day a while back, Howard and Dan came out immediately and fixed the problem. And then, when my heat was working intermittently a few months later, they were easy to reach and came out to my house the very next day. What a pleasant surprise when they worked around my schedule rather than force me to work around their! I have been nothing but pleased with the quality of the guys at Homewiz for their reliability and professionalism. Thank you! During the recent (dangerously) cold spell, my heat went out. It could've been a disaster, but I called up HomeWiz and they came out to my home the same day. Scheduling was easy and the two hour windows they provided were more convenient than most handymen I've dealt with. I'm not a handy person by any means, so Howard and Dan were kind enough to explain what went wrong and what my options were. I appreciated them taking the time to walk me through it -- it's something that you don't usually expect from HVAC technicians. They were patient and reasonable throughout the process. Thanks to them, my heat was restored as quickly as it could've been. I was pleasantly surprised by their transparency and professionalism, and would definitely hire them again if I ever have an issue with my home. HomeWiz has been in this biz for a long time. Dan is the man! (Hope you enjoyed my poem) in all seriousness; they are honest, hard working and eager to please. Reasonable prices and extremely knowledgeable in their field. It's family run and they will sure make you feel like a cousin! They will take care of you. I trust you will enjoy your experience and get a few good laughs! Dan walked me through rebooting my fuse box. My hall, bedroom (and AC) phone which runs my mom's life alert and garage electricity went. I thought I might need an expensive emergency visit. I explained the situation to Dan and he walked me through resetting the fuse box including main switch and it worked. Please give Dan a promotion and a raise! Our heating system failed this last winter and these guys came out the same day and got me up and going! Excellent workmanship, clear and understanding process, and they will even be coming back to service my system to prevent this from happing in the future. Highly recommend to anyone who is looking to get the right company out the first time! I had an emergency in the middle of December and HomeWiz was able to help me diagnose and ultimately replace my heating system within a few days. They were very thorough and even made sure I had some heating lamps for the one night I had to spend without heat (while waiting for parts in the morning). A very knowledgable team and would highly recommend their work. Great company! I was looking into Nest thermostats and who installs them in Brookline and stumbled across this company. They came out and determined that I did not have a common wire to power Nest. They gave me a price to run new wires but also other thermostats that would work with my current system. I now can control my thermostat, lights and window shades all from my phone! Super slick! Their team is incredibly professional, I had an issue with one of the shades 2 weeks after and they sent a tech out that day to make it right under warranty! I liked the service. The guys were nice to work with. They listened to me which was a big deal. Other contractors I have hired did not listen and the project suffered because of that. The quality of the workmanship seemed good too. They came everyday until my kitchen was complete. I liked that. I'm going to have them back for additional work. This company is for people who want a long term fix not just putting a band aid on their problem. Replacing hvacs and heaters are like 10k plus if you are fixing it for $500 you are putting a bandaid on your problem and just putting off the big expense. They warranty for a year and have a great warranty for new installs of 5 years and have acted on goodwill for their loyal clients in other instances!